For years I’ve been looking for a good low-carb tortilla recipe so I can make all my favorite Mexican dishes. 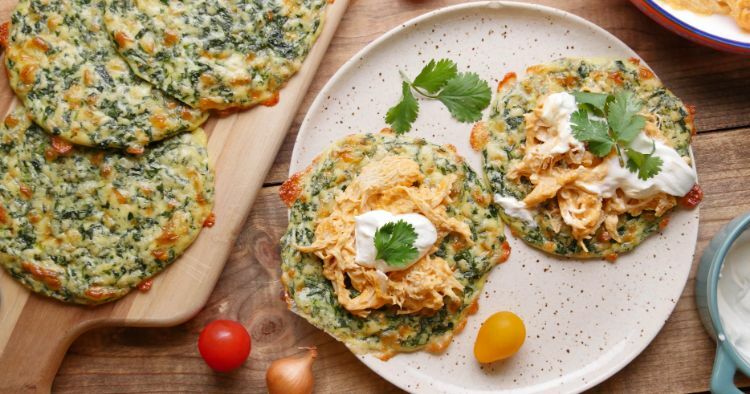 The recipe below combines shredded cheese, eggs and almond meal to make the tortilla dough. Chopped spinach adds flavor and an extra boost of nutrition. I use these tortillas as soft taco shells, filling them with fish, chicken or beef, as well as for all sorts of wraps. You can even make a big batch and store them in the refrigerator for up to a week, or in the freezer for up to three months. Thaw frozen tortillas in the refrigerator overnight, and reheat in the microwave or in a hot skillet. Preheat oven to 400 degrees Farenheit. Cover a large baking sheet with parchment paper and spray with cooking spray. Fill a medium bowl with cold water and ice cubes to make an ice bath. Place the spinach leaves in a heat-proof bowl. Pour boiling water over it to cover. Let stand for 2 minutes, then lift the spinach out of the water with tongs and immediately plunge it into the ice water bath. Drain and squeeze excess water from the spinach. Use paper towels to squeeze out as much water as you can. Chop the spinach. 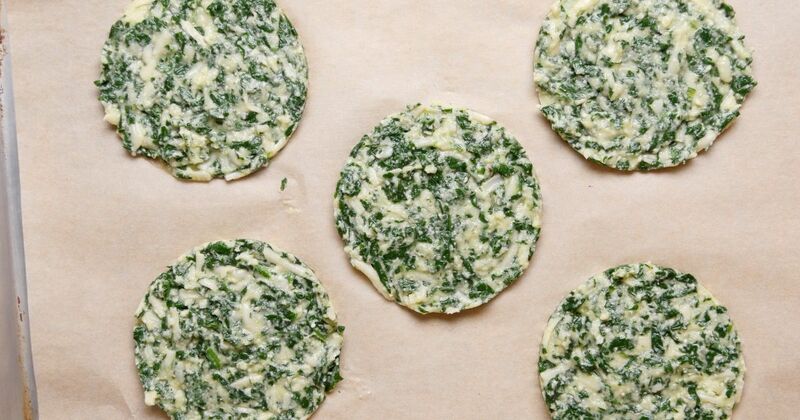 In a large mixing bowl, stir together the chopped spinach, cheese, eggs, almond meal, garlic powder and salt. Scoop the batter onto the prepared baking sheet about ¼ cup per tortilla. Press each scoop of batter into a tortilla shape. Bake in the preheated oven until the tortillas turn golden and begin to crisp up on the edges, about 15 minutes. Transfer to a plate to cool slightly before filling. Share this tasty recipe on Facebook.